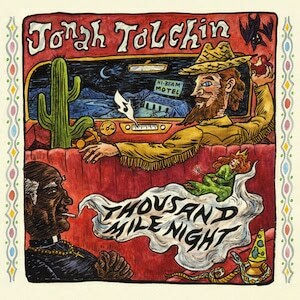 The title for folk singer-songwriter Jonah Tolchin’s forthcoming album, Thousand Mile Night, comes form the drive he made immediately after completing the recording of the album in Muscle Shoals, Alabama, back to his hometown in New Jersey. Scheduled to drop August 5 via Yep Roc Records, Thousand Mile Night is a ten song follow-up to Tolchin’s successful debut with Yep Roc, Clover Lane. Tolchin, who also works as a producer, will be touring the Northeast this summer. Click here to pre-order Thousand Mile Night with an instant download of single “Unless You Got Faith,” which premiered at Folk Alley.